UNS Internal Affairs Intelligence Corps. Has a base on Europa. At least one Gav has been shown as a member of Int-Aff-Int 2012-12-29. 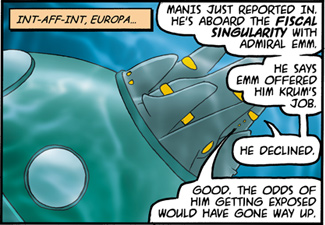 Agent "Manis" has been revealed as Captain Mordecai Gasca. Agent "Usar" has been revealed as Lieutenant Para Ventura 2012-12-29 . This page was last edited on 31 July 2017, at 22:52.